A few understatedly stunning images stand out in Fiona Tan’s Inventory: light rain spattering on a perfectly ordinary skylight; a haunting fragment of a marble leg hanging alone amid shadows; busts of Caesars seen simultaneously from multiple angles. These are rare moments among the mostly plodding and turgid series of videos, scored with a spare string arrangement, which together comprise the work. The six projected videos are loosely stacked in a pyramid, each one varied in dimensions. All are different moving image mediums too, a reflection of the titular “inventory,” from film-based formats like Super 8, through the latest HD digital video. There are stark visual contrasts in the varied video resolutions: the analog mediums have a warm, fuzzy texture, whereas their digital cousins seem cold and crisp. I left questioning the intentional incongruity: what purpose was there to throwing together this tableau of relatively new mediums in the specific context of depicting Sir John Soane’s Museum? 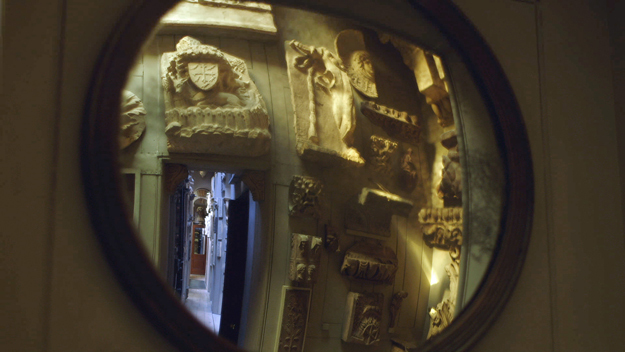 Soane, a renowned British architect working in the late eighteenth and early nineteenth centuries, built the London home as a personal residence and a repository for his art acquisitions. It has been a public museum since his death in 1837. 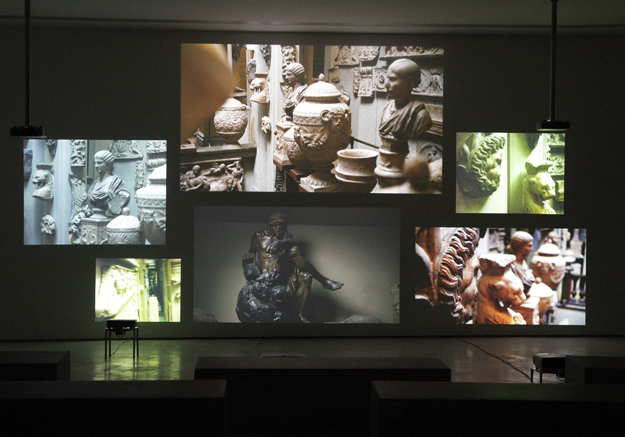 The prepared exhibition text offers a characteristically ambiguous curatorial position: “the artist challenges the viewer to reconsider ideas such as representation, perception, and history while contemplating the resilience of a medium associated with a contemporary artistic production.” Compared with marble, travertine, plaster, and a litany of other Classical and Neoclassical materials, filmic media seem resolutely ephemeral. Yet Inventory is a work that feels more precisely about video art itself than the subject it depicts. An unfortunate comparison comes to mind in the form of Cory Arcangel’s video game bowling gutter-ball bonanza at the Whitney a few years ago. An overall sense of pretty vacuousness pervades. 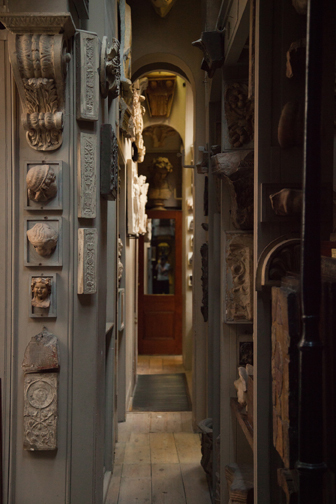 Visually, we are left to wonder at Soane’s magnificent collection, but from a remote vantage point, almost as if staring at a bank of six security monitors. There is no reference to Soane’s indelible imprint on the way public museum galleries have been constructed and lit ever since his groundbreaking design for the Dulwich Picture Gallery. There is no meditation on the manner in which private holdings enter the public trust to remain on view in perpetuity exactly as intended by the collector. And there is also no contemporary relevance to the persistently hot button topic of repatriating Greco-Roman antiquities to their countries of origin. 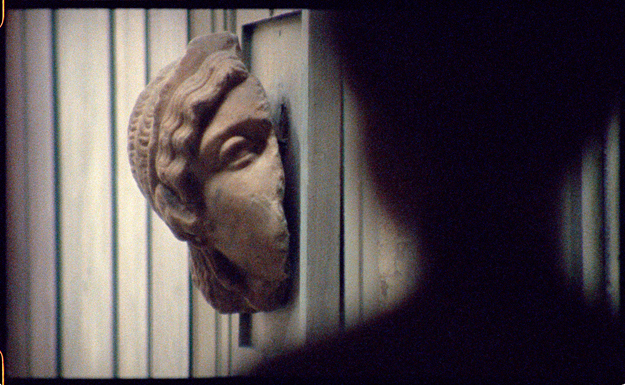 One may depart the dark screening room feeling as forlorn as some of the worn down, limbless sculptures with their mouths agape in mute shouts. Jeffrey Bussmann works at the Institute of Contemporary Art at the University of Pennsylvania. He is currently completing his master’s thesis on the subject of early video art in Brazil.